It’s strange to think that it is the holidays here in New Zealand. Santa would suffer from heat stroke here : ) Here’s a little gift guide for you or your bike touring friends this holiday season. 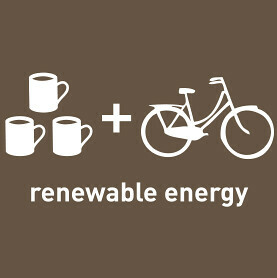 Our bikey shirts are selling like hotcakes. 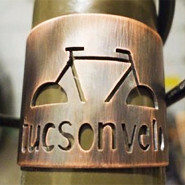 We’ve got designs for people that love bike touring, bike advocacy, coffee and bikes, and even transit! Also, we have different versions of the Zombie Apocalypse shirt that started it all. 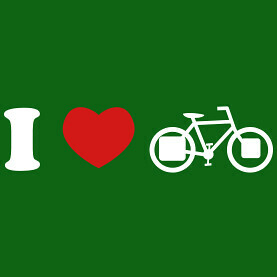 Visit our Shirt Shop and get some shirts for your bikey friends. We’re also offering a calendar for 2012 with images from our Big Adventure Small Wheels trip. Once again, it was a tough choice to pick just a handful of images from the trip to include in the calendar. You can preview and get yours here! Even though we are in New Zealand, Laura is still making headbadges! It will take a little while to get to you since it has to travel from the end of the world. If you want to order one, send her an email. Wool Buff – one of our favorite bits of winter cycling gear. It can be used to warm your neck, an ear warmer, balaclava or even a skull cap in camp. Gerber Curve – a great TINY multi-tool with some of your most accessed tools. A small blade, bottle opener and a few flat head screw drivers. We show it in action in this video along with some other cool portable items. Hobo Dinner Set – This is a handy cutlery set that keeps everything together and gives you a proper spoon, knife and fork. Great for camping and bike touring, but also for around town to help reduce plastic utensils in the landfill. Exped Air Pillow – We’ve tried a few camp pillows and this is our favorite. It packs down super small and has a nice assymetrical design that mimics how a regular pillow compresses. We tried the Cocoon one and it sort of felt like sleeping on a balloon. Not so with this one. We sometimes wrap a shirt around it to give it a more fabric texture as well. Check out our Amazon store for other gift ideas.